A Kyoto autumn adventure under the bright reds, oranges and yellows koyo, led me to the doorsteps of a hidden jewel, Giro Giro Hitoshina. 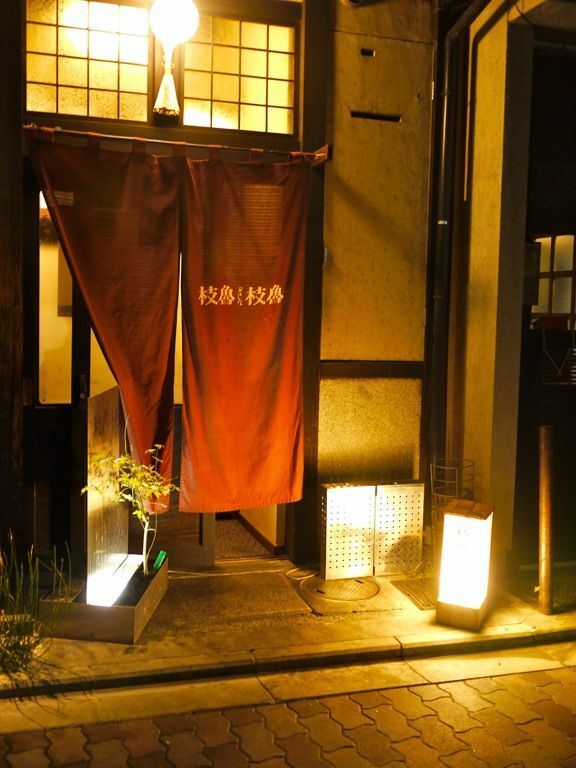 This unorthodox Japanese restaurant serves a 'modern' Kyoto Kaiseiki meal in a casual and cool converted warehouse by the obscure Takase-gawa canal. The floor to ceiling picture window panes, that replaced the original brick wall, presented diners with a charming view of the lush foliage as they partake in an exquisitely prepared 8 course meal determined by the chef. The energy given out by the young punkish chefs was electrifying. 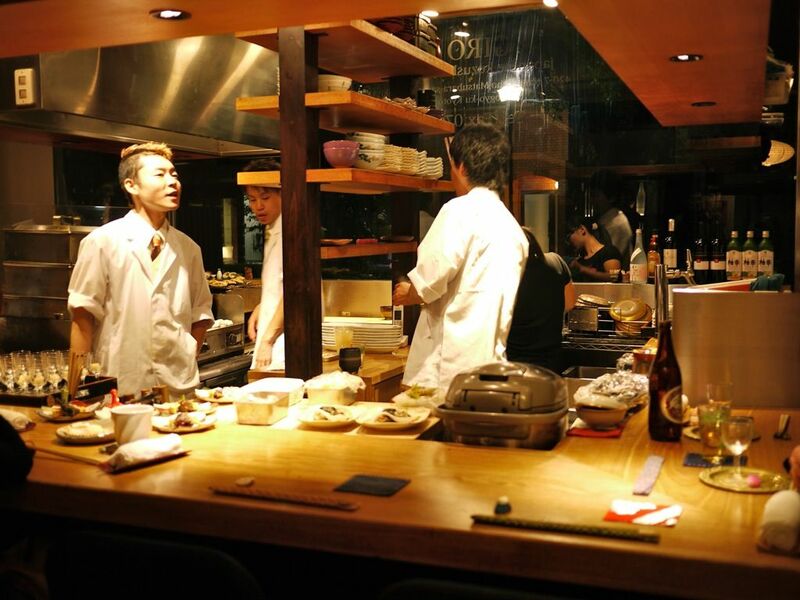 Reserve a seat by the counter of the open kitchen and you'd be entertained by the dynamic performance as they prepare course after course with finesse. There is no burden of choice at Giro Giro Hitoshina. 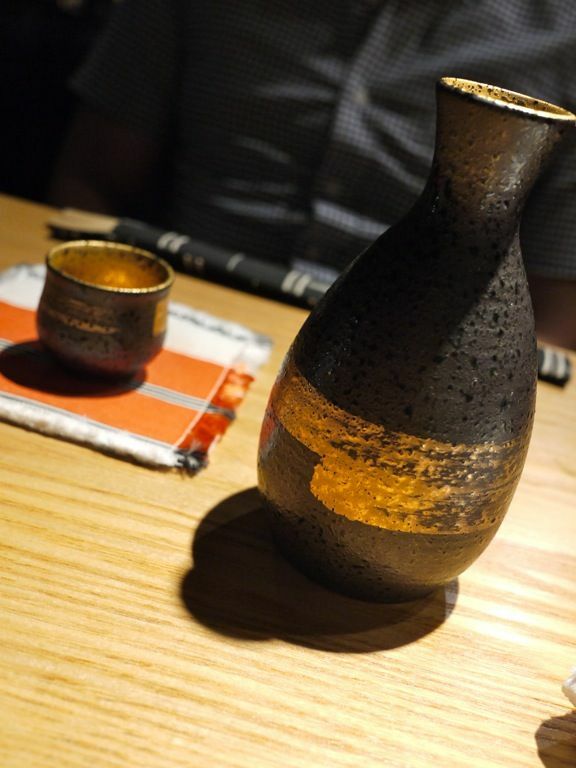 You only get to make a decision on your choice of beverage (sake in our case). The menu changes seasonally (by month apparently) so you'll never taste the same thing twice (unless you dine there every other week). We started with Turtle soup, which was a cold and light fish soup (i hope!). 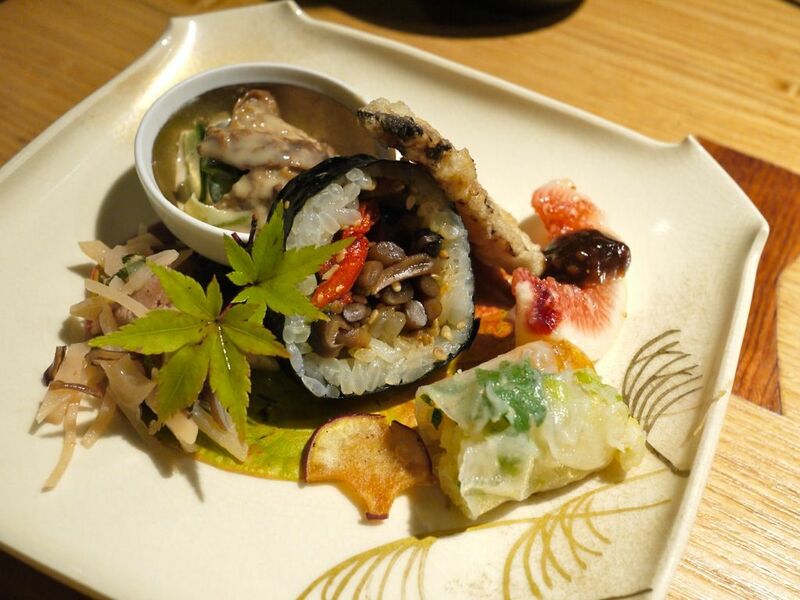 An Asian style Sushi roll filled with stewed mushrooms and sundried tomatoes. There's also a mini Viet Rice roll with mint and persimmon. 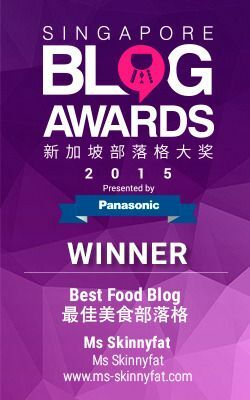 Beancurd skin and cucumber tossed in a sesame peanut sauce. Tempura dried fish and a light lotus with smoked pork. It was a mish mash of dishes and ingredients but the individual flavors were great. 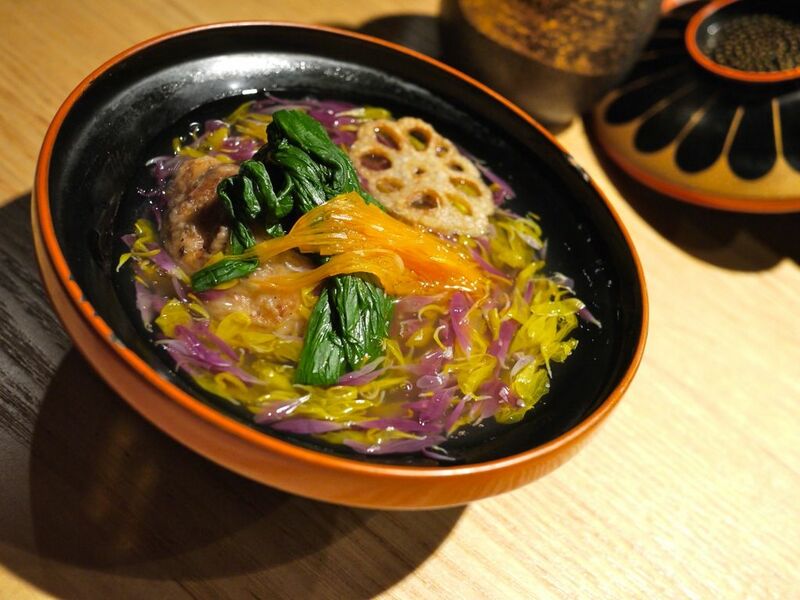 A pretty dish that captured the essence of Autumn with all the colors and flavors. 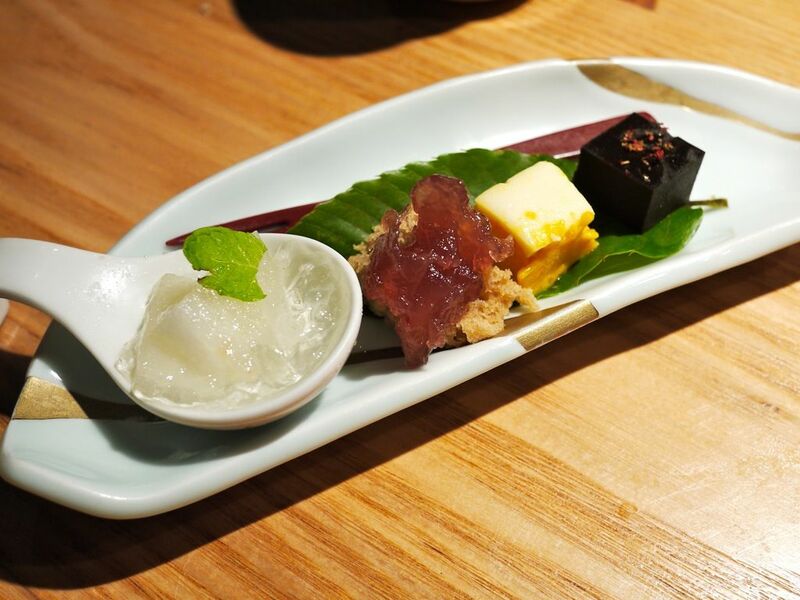 The highlight of the dish was the tofu ball made with chestnut, water chestnut and a surprise chunk of fish roe. 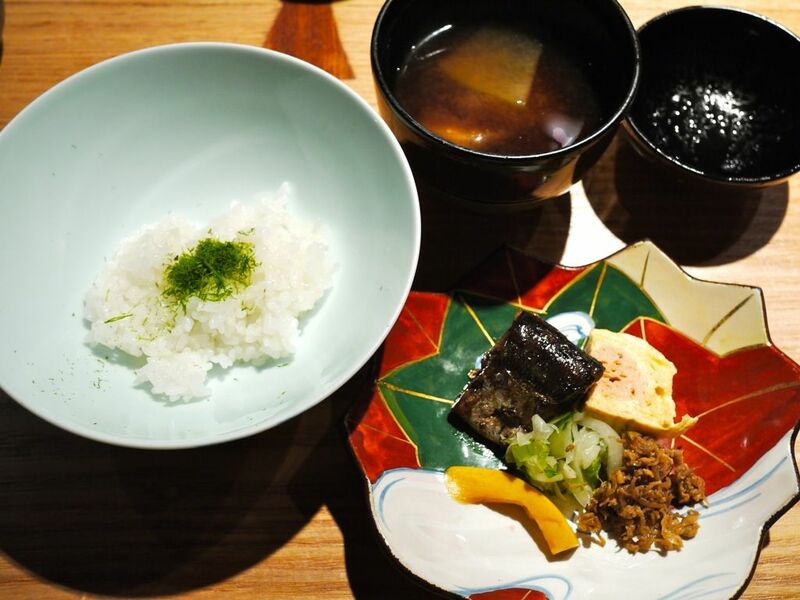 Tofu is a signature dish of Kyoto so make sure you do a tofu meal there. Arashiyama is a good place for that. 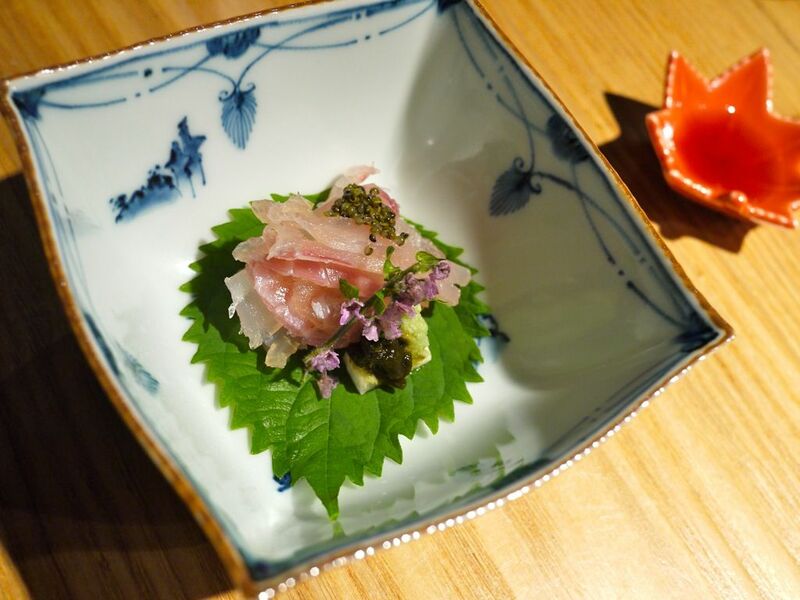 A fresh red snapper sashimi with freshly grated wasabi and ponzu sauce. My other favorite dish of Smoked Yellowtail paired with a grainy creamy lemon sauce and a side of potato salad. An absolutely divine dish. The Gratinated Clams was presented with great fan fare, blow torch, bubbling cheese and all right before our eyes. You can't go wrong with the combination of creamy potatoes with briny succulent clams. I would have Japanese breakfast for dinner any time and this was a comforting dish that i wouldn't mind eating for the rest of my life. 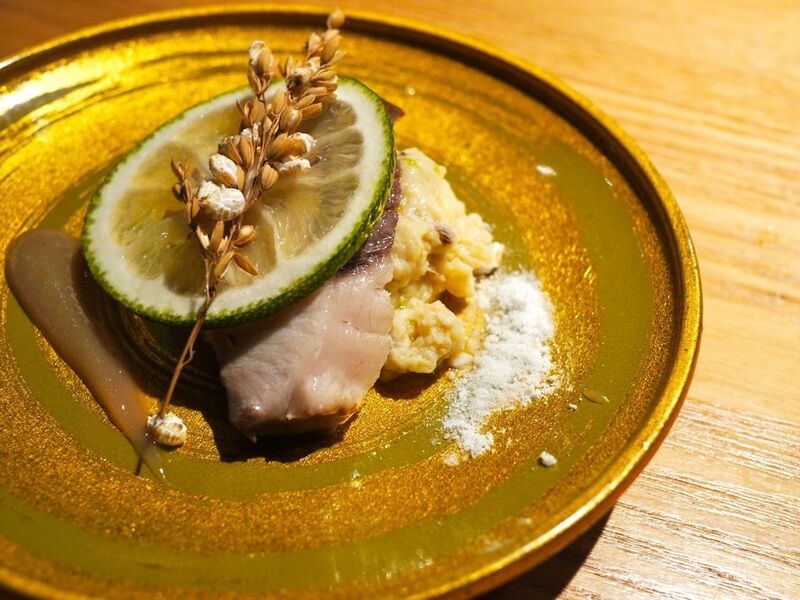 Japanese rice with seaweed, grilled mackerel, tamago with fish roe, silver fish and pickled vegetables. 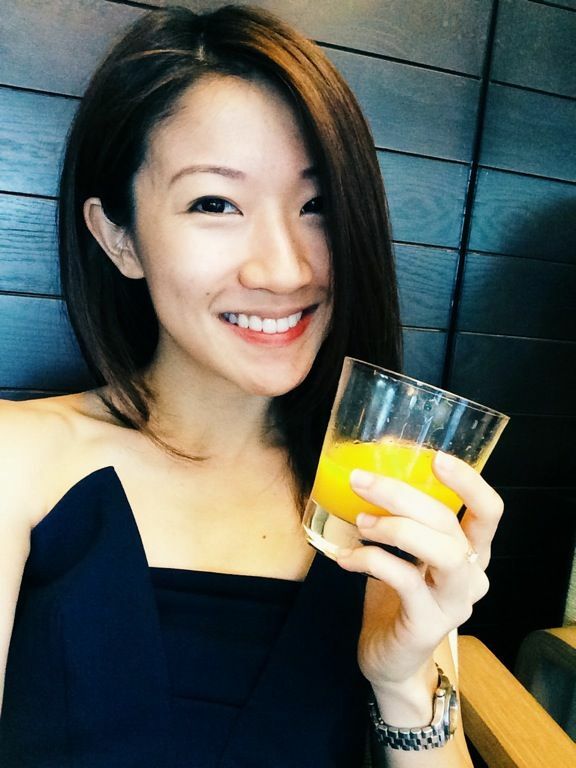 A simple Asian meal that warms belly and the heart. We concluded dinner with an exquisite dessert. Pear w jelly, marmalade on cake, pumpkin ice cream and an Azuki jelly. If you think that the meal cost a bomb, it did not. 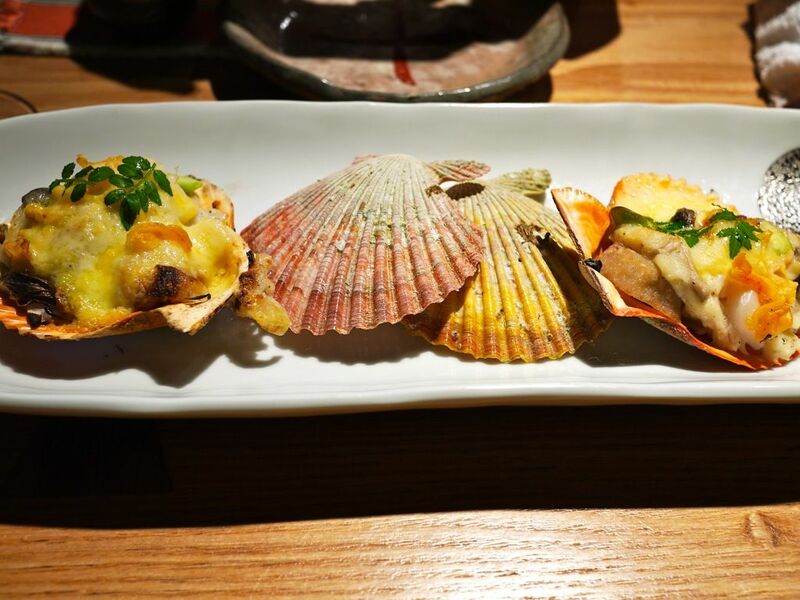 You would be able to enjoy this for ¥3,680 per person. 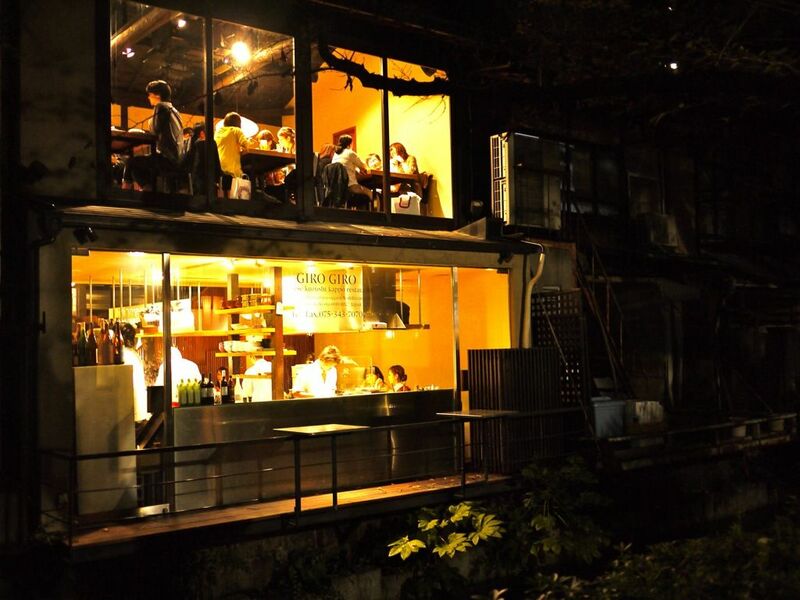 It is not wonder why the 2 seatings a night is insufficient to satisfy the hungry crowd. Book way in advance or you'll be disappointed. 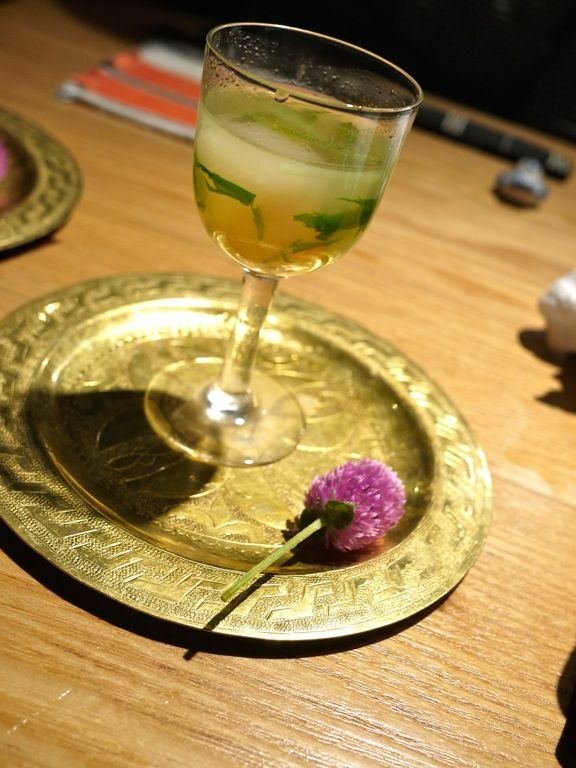 The only equivalent in Singapore is Teppei (read review here) but this is more haute and exquisite. Thank you for your recommendation. I love this place.